Join our newsletter to hear about everything Academy as well as Mark Cleghorn Photography Training. in 2019 Mark will be running a series of Fine Art Portrait workshops in his studio in Barry, near Cardiff. Each day will concentrate on the art of Lighting, Posing and propping the portrait as well as the photo finishing skills to create truly beautiful fine art portraits. Each day is limited to 8 photographers and concentrates on the styling and lighting skills used to create a more fine art portrait. The Xperience Group is a collection of Pro photographers through out the UK and Ireland. The Xperience Group is designed to help you develop your business by generating clients through tried and tested localised marketing as well as national campaigns plus independent specialist promotions. For over 20 Years Mark Cleghorn has been consulting with major brands and photographers in developing the whole business of photography to both industry and clients alike. In more recent years he has been concentrating on making training more affordable and streamlined, allowing photography businesses of all sizes to benefit from his experience. 2014 saw the launch of the first Xperience Group, a hands-on business and brand building for photographers. During the year we will help you to streamline your marketing, help you find your client so you can make more profit, plus saving you money with major suppliers. 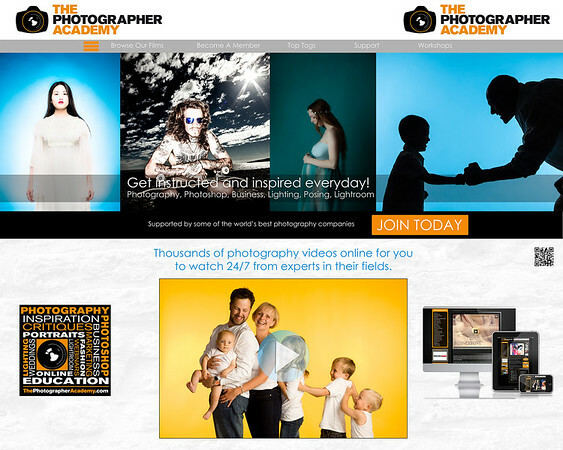 Europe's largest photography training company with thousands of Pro Photographers as well as Artists and Hobbyists making use of the award winning training to get inspired or instructed every day.